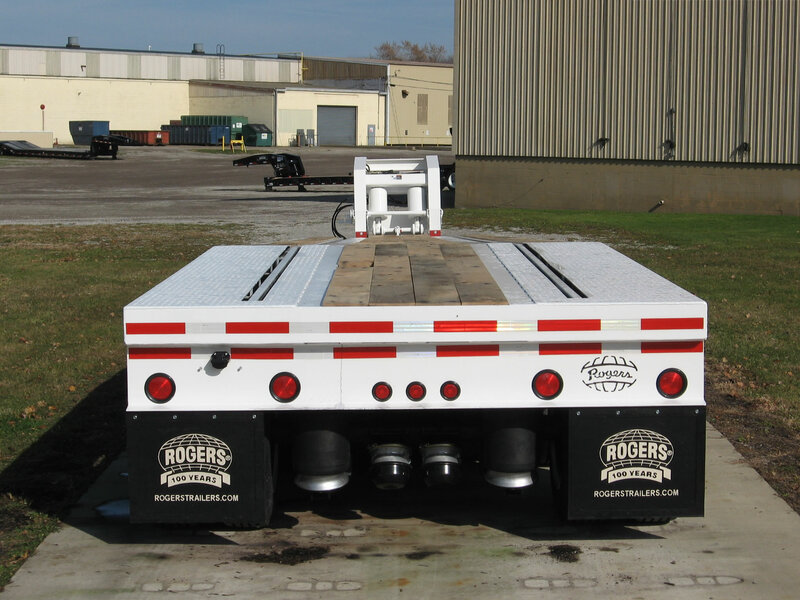 This 40-ton low bed has a "No Foot"® Direct-Push detachable gooseneck and a "Sloper" deck design known for easier loading. 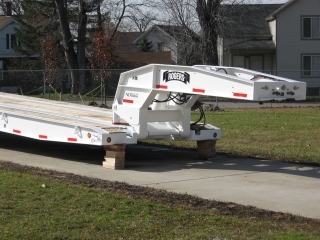 This "Sloper" deck is specially designed with track rails to carry railroad repair equipment. 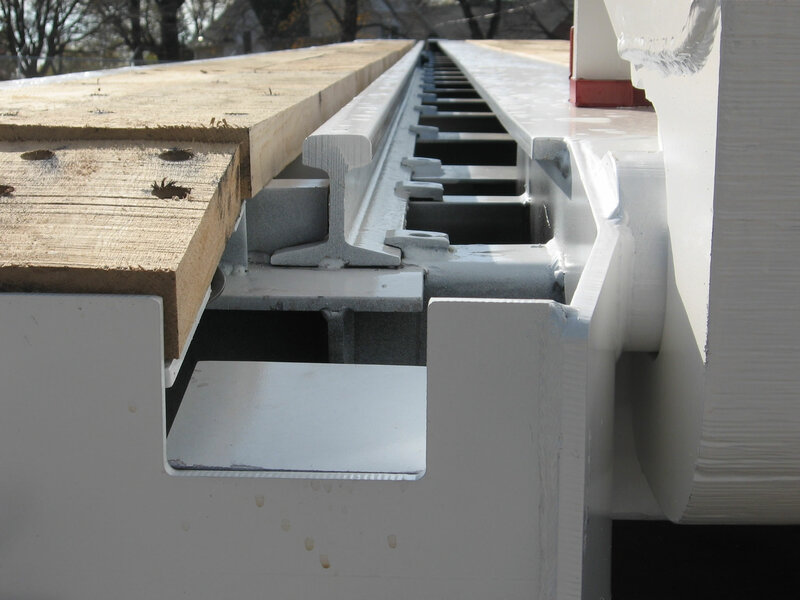 The track rails are installed the full length of the deck. 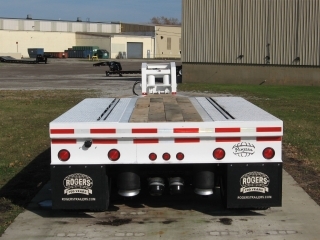 The "No Foot"® non ground-engaging gooseneck does not ues a ram foot to push off the ground. 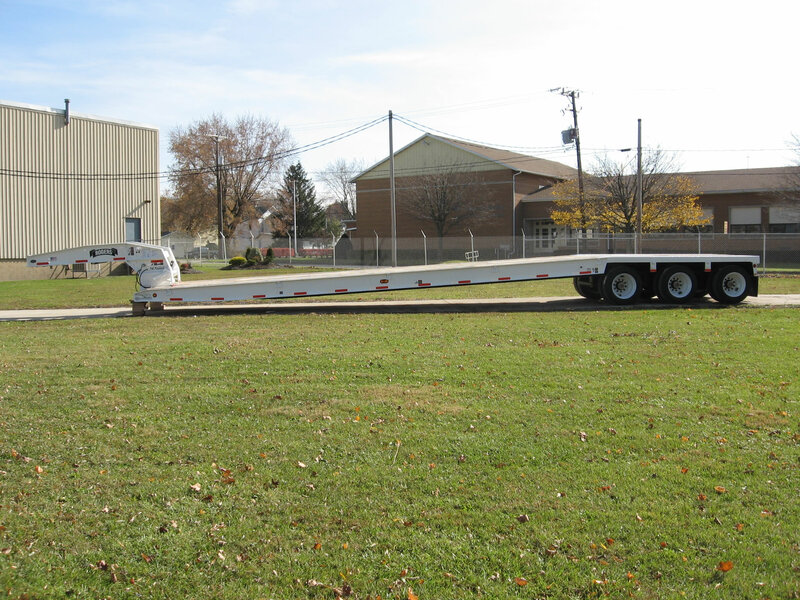 This gooseneck has three adjustable positions. 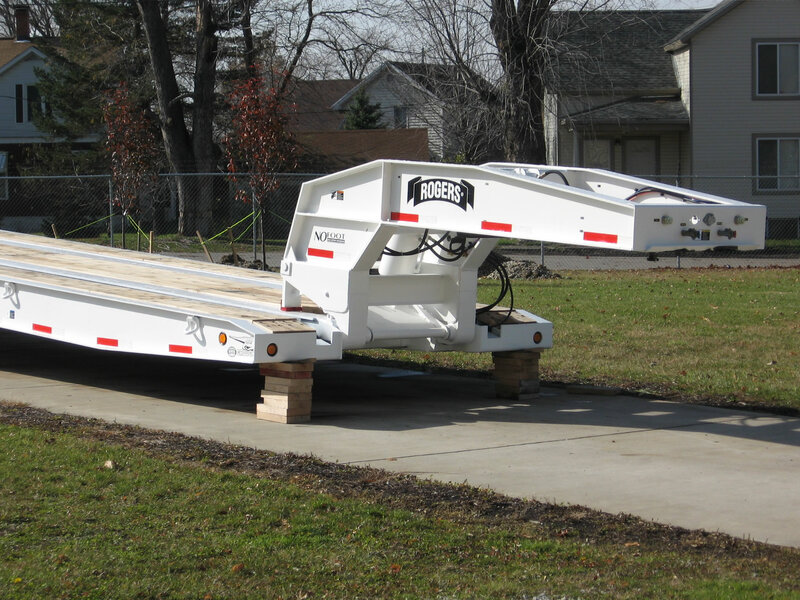 The trailer front has a special taper to minimize the loading angle. 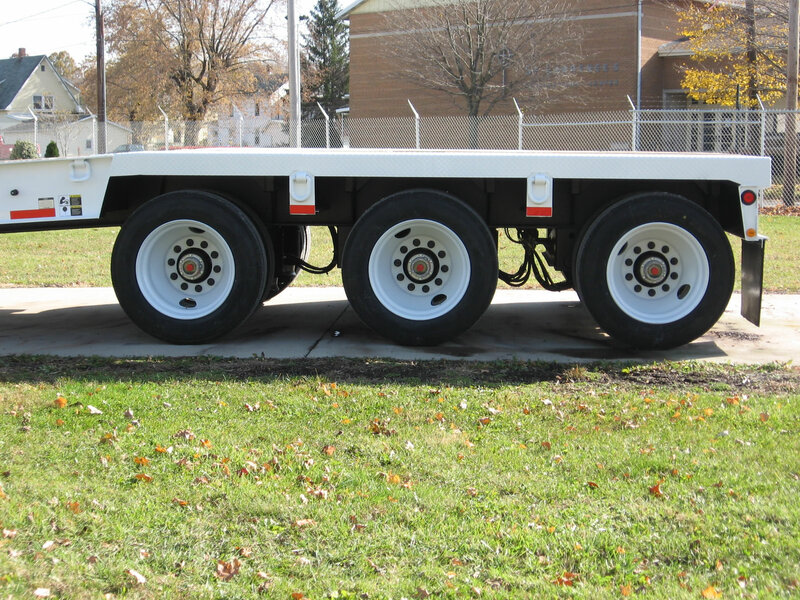 The tri-axle has air ride suspension with mechanical air height control and 255/70R tires on steel disc wheels. 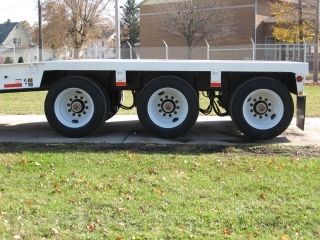 The rail tracks are built into the tread plate wheel covers of the rear frame.